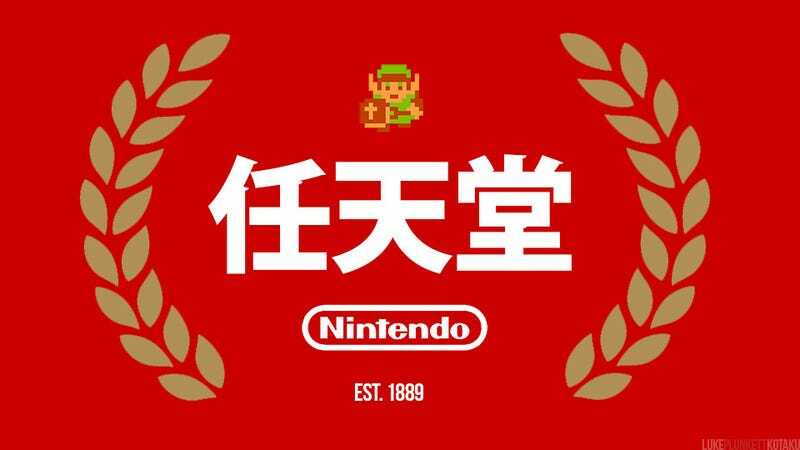 While other video game companies are happy to celebrate 10th, 15th or even 20th anniversaries, Nintendo is over 100 years old. Founded in 1889, the company has enjoyed a rich video gaming tradition dating back to the 1970s, releasing some of the most successful gaming consoles and franchises of all time. Which is great for them, but it’s not why we’re here. Today, we’re here to look back at some of Nintendo’s lesser-known, but way more interesting accomplishments (and failures, and dirty secrets). Below, you’ll find a collection of some of the more bizarre aspects of Nintendo’s history, some of them during the company’s video gaming years, others from earlier in their history when they made playing cards, bad LEGO clones and ran love hotels. The Nintendo They’ve Tried to Forget: Gambling, Gangsters, and Love Hotels - Nintendo, the world’s family-friendly video game maker, formed under less virtuous auspices. Before Nintendo made video games, they made playing cards for gangsters and ran their own love hotel, which some assert their own president frequented-during work. Saucy! The Arcade Machine That Made (And Nearly Broke) Nintendo - The amazing story of Nintendo’s 1970's “Light Gun Parlours”, which nearly sunk the company, and which were only saved by some first-night heroics from a future executive who managed to rig the games when their computer systems failed. Nintendo’s First Arcade Games Were, Well, Pretty Sucky - Great things often have small beginnings, and Nintendo is no different. Before Donkey Kong & Mario, the company needed to cut its teeth and learn the ropes, which it did by releasing some fairly awful and unoriginal arcade games. This Is the Coolest Stuff Nintendo Has Ever Made - In the early 1970's, Nintendo released a line of LEGO rip-offs, which were so blatant the Danish toy giants would take them to court. The sets featured licensed characters like Kamen Rider, and while basic by today’s standard, had some of the coolest box art the world has ever seen. How Pokémon Was Born From Bug Collecting - Pokémon creator Satoshi Tajiri didn’t just wake up one day and think “oh, yes, let’s do fighting monsters”. He needed inspiration to come up with one of the greatest pop culture phenomenons of our time. And he got it from his childhood love of collecting insects. The Father of the Game Boy Was Not Killed By Yakuza - There’s long been a bizarre rumour that Gunpei Yokoi, the creator of the Game Boy, was murdered by the Yakuza, given the odd and premature circumstances surrounding his untimely death back in 1997. Brian Ashcraft breaks down why these rumours are a total bust. When Nintendo Wanted to Bring Gambling Into American Homes - It’s all but forgotten now, but in the early 1990s, at the height of Nintendomania in the United States, the company’s American operations quietly floated the idea of using the NES as an online gateway to gambling. Free consoles were handed out and a unique modem was engineered before a combination of political pressure and inadequate tech scuppered the concept. When Pokémon Got a Little Too Nazi Germany - Pokémon animated episodes and trading cards have had to be either edited or recalled not once, not twice, but thrice because they contained references to Nazi Germany. Or, at least, were accused of referencing Nazi Germany. In 1983, Donkey Kong Nearly Died - He’s one of Nintendo’s most successful characters, and the company’s springboard to success before Mario even had his own game, but in 1983 a court case Universal sued Nintendo over the giant ape. Rather than accept losses which would have crippled the company’s fledgling American operations, Nintendo of America president Howard Lincoln decided to fight the media giant. Nintendo’s War On Blood, Nazis, Religion And Puppy Dogs - Removing blood from a game about blood, shaving Hitler’s moustache...there was a time in the early 1990s when Nintendo seemed more concerned with acting as a moral policeman than as a games publisher. While its heart was in the right place, the way Mortal Kombat and Wolfenstein were treated on the Super Nintendo will not go down as some of the company’s finest moments. Iron Chef’s Secret Ingredient Was…Pokémon! - Beloved Japanese cooking show Iron Chef, which continues to find new fans across the world via repeats, ceased filming in 1999, leaving host Takeshi Kaga in need of a new gig. He found one straight away. Voicing Pokémon characters. Nintendo’s First Console Is One You’ve Never Played - Years before the Famicom and NES were released, Nintendo’s first foray into the world of home video games - in the late 1970s - weren’t quite as successful. More colourful, perhaps, and with more steering wheels than we’d be accustomed to, but while reasonably popular in Japan, were never seen outside of Nintendo’s home territory.